I first became obsessed with Grizzly Gouda during a tasting for the 2013 Canadian Cheese Grand Prix where it was awarded top prize under the Gouda Category. 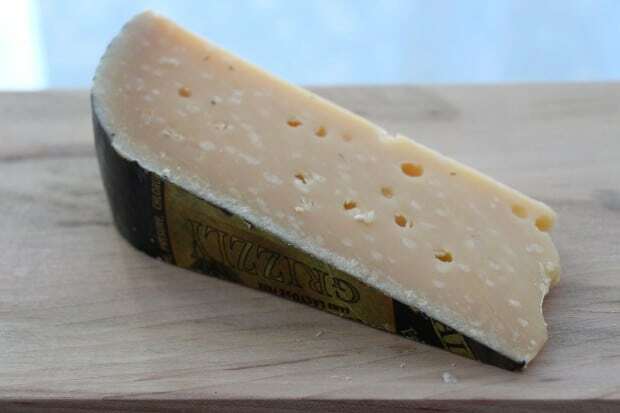 Produced by Sylvan Star Cheese in Red Deer, Alberta this one year aged Gouda has developed a strong firm texture while remaining smooth and creamy on the palate. The Schalkwijk family emigrated from Holland in the 1990s. Jan Schalkwijk came from a family of cheesemakers, and when he couldn’t find a Canadian cheese that met his homeland’s standards of excellence, he decided to make his own. His company, Sylvan Star Cheese, was born in 1999. No wonder Jan’s Grizzly Gouda is reminiscent of The Netherlands’s famed Beemster XO! Both offer up hints of caramel and nut with a salty tang you’ll find on the inside of your cheeks. This is a gouda that will make your eyes bulge and tongue dance.